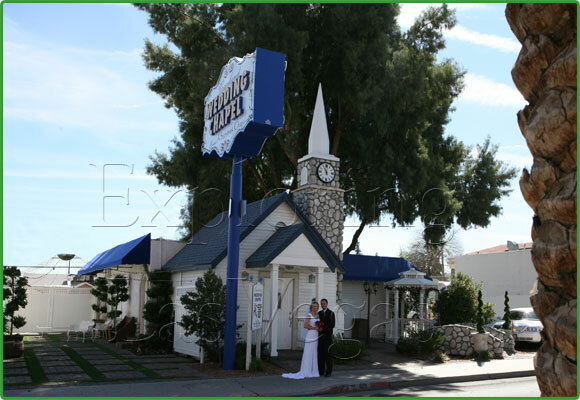 Located just 3 blocks from the Marriage License Bureau, Graceland Wedding Chapel is one of the oldest, most widely recognized icons on the Las Vegas Strip. Having just completed a major renovation in 2006, the chapel captures a quaint and charming atmosphere, situated under a canopy of trees in which thousands of tiny white lights illuminate the chapel in the evening. Renew your vows here at Graceland! Billy Ray Cyrus along with his wife and family (Hannah Montana) walked down our aisle! Jon Bon Jovi was married here and then renewed his vows a few years later. Other celebrities and musicians who have walked through our doors include Jay Leno, Johnny Depp, Matthew Perry and Salma Hayek along with band members from KISS (Ace Frehley) Def Lepard, The Beastie Boys and The Thompson Twins. Conveniently located in the heart of the glitz and glamour of the nation's most visited city, Graceland Wedding Chapel has been the recipient of numerous service awards in the travel and tourism industry. 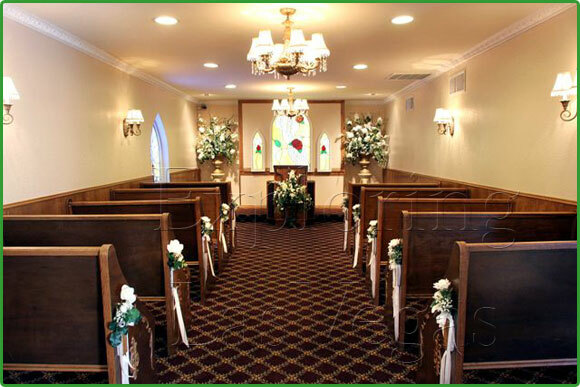 The chapel features state of the art digital photography and DVD service, fresh or silk flowers, ceremonies broadcast over the internet, and professional limousine service. Open every day of the year from 8am until midnight. The two women who worked on the reception desk very incredibly friendly and encouraging. They both had brilliant knowledge of your service and vegas in general and they really made the experience a lot less daunting and more enjoyable!! Elvis was fantastic!